Why are mini vans loved by celebrities? Because they are luxurious, useful and comfortable. As cars become more specialized in their models and functions, consumers’ demands changes accordingly. Young adults are passionate in exercise, A-class cars will be sufficient for new couples, where as SUVs are more suitable for larger size families. SUVs has become more popular in recent years, its current sales volumes has soared throughout the world, even Luxury brands such as Porsche and Lamborghini are forced to produce SUV model cars. Here introduce you to another popular car model, a top-leading brand within Japan that perfectly suits families and business needs, and to even fill up the imperfection of space and comfort of SUV cars – the People Mover mini van/nanny car. Overall rating – luxury configuration and affordable compatibility. A decade ago, Nissan Elgrand already have basic configurations which includes internal screen display, reverse camera, dual power sliding doors, intelligent proximity key(keyless start) and so on. It has mobile and foldable third row allow more space at the back and leather reclinable middle row, chair is adjustable that you can lay flat like beds to be able to enjoy and relax when travelling long journeys. It is an ideal car for luxurious experiences with approachable prices. Model E51 is prominent with its spacious advantage, it has a high capacity of up to 8 people and still is able to easily fit luggage. Low noise level, suspension comfort, able to effectively filter out the uneven lumps and bumps of roads, mean while very steady and powerful. According to the government import policy, displacement, mileage and different configuration, prices are between 45,000 to 58,000. Listed price comparison to Quest in Chinese market, is between 350,000-680,000 RMB, prices could easily reach to 450,000, while high configuration models could approach to 700,000. Both Alphard and Vellfire are classified under Toyota’s nanny cars/mini vans, whereas Vellfires is the sport version of Alphard. Both the headlight and taillights are avant-garde designs, it mainly targets the young users in the market, configure with no difference. Overall impression: It has high brand awareness, technology and sense of space representativeness. Toyota brand has provided a reliable and quality assurance of their products. Interiors are designed exquisitely made with metal like checkers patterns, luxurious selection of velvet fabric features, with strong technology designs perfectly reflects Alphard’s extraordinary taste. Another selling point is its spaciousness and transformability, through adjusting second and third row chairs, it change to up to 6 different types of space forms: standard 7 seat mode, 4 people mode, resting mode, ultra spacious relaxing mode, second and third row flat mode, and lastly large luggage space mode, fulfilled all kinds of demands. The second row of chair is the highlight of the car, it can slide up to 45 centimeter back and forward, seat is able to recline back to a 78 degree angle which creates the most comfortable and relaxed sitting posture. Upper seat is surrounded by a large multi purposed “Mickey Mouse” headrests with multi-angle adjustment function, two sides are to able to adjust 30 degrees back and forwards respectively, central headrest can be adjusted around 15 degrees, attentive care of the head and neck which further relieve the straining and tiredness of long distance travels. Alphard is rated as 5 start super nanny car, it is the first choice for those who pursuit top standard nanny cars. 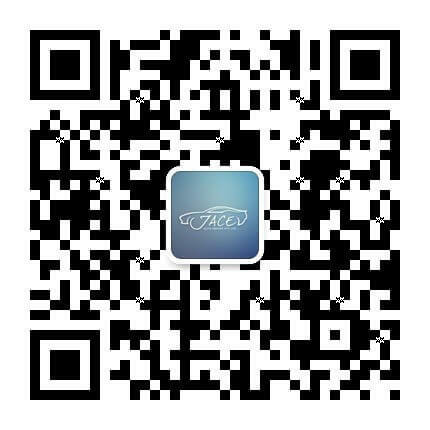 It has rapidly become popular within China, naked car price guide at 800,000 CNY. Overall comment: high brand awareness with affordable prices and values both appearance and the internal contents. Estima/Tarago is domestically known as the ‘Great King’ or “the Bullet head”. Japan names it Estima, Australia calls it Tarago, China calls it Previa. In comparison, Estima appears more smooth and streamlined, but its spaciousness is not inferior to others, can easily accommodate seven passengers, the rear seats are electrically wired and fully foldable to allow more room for luggage storage. Configurations are compatible with the first two models, standard configuration includes internal reverse screen display and DVD player, electric automated doors, keyless button start and etc, and it comes with a more approachable price. Compared with Australia native Tarago, under the same conditions and similar mileage, with higher configures it is about 20% lower in price.